Traveling to Cuba – explore the Pearl of the Antilles. Each of us has good memories to cherish – traveling does not leave us unscathed, the impressions are embedded in our memory forever. If you really want to impart your memory with some historical, lively, intriguing, reviving and inimitable memories, you must travel to The Pearl of Antilles, Cuba. Looking for cheap hotels in the Caribbean? Find the best hotel deals right here! There are 7 things you really need to know when traveling to Cuba. Who knew when Castro said “I am Fidel Castro and we have come to liberate Cuba” that one day Cuba will emerge to sweep the world with a storm of its magnificence. Gold dust prevails all over the ambiance and unveil the shiny faces of the people is something charismatic. You wonder about the ride which takes you up one moment and brings you down the other. This most influential among the four of Caribbean Islands, Jamaica, Puerto Rico and Hispaniola – Cuba stands high with its small islands, cays, and islets. Can Americans travel to Cuba? Fortunately traveling to Cuba from US cities is much easier now, as the old Obama administration has eased rules for US citizens. About latest Cuba travel restrictions: purely touristic trips to Cuba such as relaxation stays at all-inclusive beach resorts is still prohibited at the moment. Have a look at the U.S. Department of the Treasury FAQ related traveling to Cuba. The most common gateways to Cuba for unlicensed travelers from the US are still Mexico City and Cancun, you get a tourist visa for Cuba from the airline you are flying with. Want to travel to Cuba from US? With American Airlines you can travel to Cuba from Miami, as they started their flights from Miami and Charlotte in late November 2016, and is going to be operating 10 daily flights to six Cuban cities now in 2017. Other U.S. airlines like Delta, Spirit, United, Alaska, JetBlue and Southwest go-ahead and offer service to Havana and other Cuban cities too. #1 What is so intriguing about Cuba? Cuba is among the best cheap getaways in the Caribbean, covered with lush green trees, surrounded by gigantic mountains, bordered with striking islands, being as huge as the entire Pennsylvania; Cuba is just an incredible place to travel to. Imagine a place which served as a base for historic expeditions in sixteenth century is still looking in the eye of people and inviting them to bear the sight of its grandeur. The fusion of multi-ethnic culture with unkind history lead to emergence of something intriguing, we name now Cuba. Staring African slaves, long period of Spanish colonialism and Soviet affiliation in cold war has left this country with some bitter memories. But this country learned and moved on and this is the reason why it is ranked very high among the other countries when Human Development is talked about by UN. #2 Why should you visit Cuba? There is just not one reason for traveling to Cuba, from hospitality to music in Cuba there is much to discover. To showcase history, culture, art and music there are more than 250 galleries, museums and attractions for the visitors. The Peninsula de Zapata, Valley of Viñales and Cuchillas del Toa in Guantánamo are the world’s famous regions for the natural scenery and divine beauty. More than 22% of the country is highly protected because it has astonishing natural scenery that you cannot find in the entire Caribbean. Traveling to Cuba is like being dropped off in another world without credit cards, news, WiFi, Web, email or social media. Traveling to Cuba is like a journey back in time. The vintage cars that drive around everywhere are perhaps the most iconic image of Cuba. Since they trade restrictions in the 60s most Cubans were no longer be able to purchase new vehicles. In 2014 Raul Castro, however, authorized imports of new cars. #3 What are the things to do when traveling to Cuba ? When traveling to Cuba what you are going to do? Of course, natural scenery and visiting the Cuba tourist attractions is a definite part of the trip what more you are going to do there? If you are you looking forward traveling to Cuba and spend some time on the Cuban beaches – which beach is worth visiting? Have a look at the rankings and reviews of the 21 most beautiful beaches on Cuba. When traveling to Cuba scuba diving and snorkeling is a must, because the marine culture is just as fascinating as the island. You will get a chance to discover some magnificent coral reefs, unearth splendid caves and come across breathtaking wrecks. Caribbean waters offers a vast variety of aquatic life because the water is so clear you can see through 110 feet. The late Jacques Cousteau once said that he saw more fish on Cuban reefs than anywhere else in the world. The variety of pleasure in scuba diving in different places like Cayo Levisa, Maria La Gorda, Trinidad and Cienfuegos is what you need to experience yourself. Visiting Botanic Gardens – Cuba is one of the blessed countries in the world. The Mother Nature is quite pampering here. Lush green trees and chirping birds’ lullaby calms you down like mother’s lap. The best flora and fauna experience is possible if you plan to visit the botanic gardens in Cuba. The best places to meet divine nature are Vinales and Penar del Rio which offer you more than 1500 species of plants to see. If you visit Orchid Garden in Soroa, it will be cherry on the top of your trip. Exploring Under Ground Caves – Yes this too! With hundreds of opportunities to have fun, Cuba has some unfamiliarity interesting underground caves. Vinales is not only known for its botanic gardens but for its thrilling caves as well. The renowned Indian Caves in Vinales has paved floor and artificial lights with amazing stalagmites and stalactites to witness. There is another natural swimming pool which is underground in Vinales. You do not need to bring any food with you because it has any amazing café nearby. This is not it, Gran Caverna de Santo Tomás is the biggest cave system with a 8 level gallery spread on 45 kilometers. If you are traveling to Cuba try to visit El Palenque de los Cimarrones, a hotel located at the mouth of the cave, the best part is you can make the most of Disco inside this cave hotel. Have a look at the best nature attractions on Cuba. Rock Climbing – Do you know which place has the tallest rock climbing site in Caribbean? Yet again Vinales wins. Yes when you visit Cuba Libre, you are likely to lose your mind witnessing the natural grandeur all gathered in one place. Another important site for rock climbing is The Flyin Hyena and La Costanera. The stunning splendor is something worth watching. Salsa Dancing – It is true, you cannot have a salsa dancing experience like in Cuba in any other part of the world, not a fractional part of it. Cuban salsa including music and dance is famous worldwide. Pack your bags and taste the flavor of Casino Rueda. #4 What are the important cities and places to visit when traveling to Cuba? 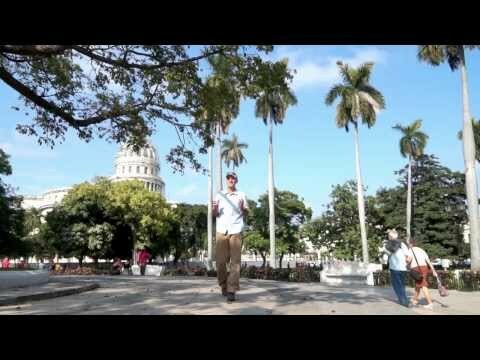 Havana, because you want to see The Malecón Sea Drive, Marina Hemingway, Parque Lenin, Teatro Nacional de Cuba, Gran Teatro de la Habana, Teatro Fausto, Real Fábrica de Tabacos Partagás, Museo de la Revolución and Museo Nacional de Bellas Artes. Experience the delights of the city from the backseat of a classic car. Varadero, because you want to see Crocodile Farms, Delfinario, Todo en Uno , Centro Internacional de Paracaidismo, and Barracuda Diving Center. Trinidad, because you want to see Playa Ancón, Salto del Caburni, Centro Ecuestre Diana, Museo Histórico Municipal, Disco Ayala, Craft Markets and Palenque de los Congos Reales . TravelTip: cocotaxi takes you on a tour to the backstreets Trinidad. Santiago De Cuba, because you want to see Marlin-Sigua Dive Centre, Gran Piedra, Parque Histórico-Militar El Morro, Basílica de Nuestra Señora de la Caridad del Cobre, Parque Céspedes , Ballet Folkórico Cutumba and Museo Emilio Bacardí. The old centers of Havana, Trinidad and Cienfuegos are on the Unesco list of world heritage since several years. Yet it needs a huge amount of money to renovate them. In Havana the neighborhood of Havana Vieja looks already wonderful, the buildings are being restored and newly painted to its former glory. #5 Bewildering – the two currencies. Perhaps the most complicated part of Cuban society is the dual economy with two currencies – Cubans pay in pesos Cubanos (named CUP); tourists pay in pesos convertibeles (also known as CUC). The value of 1 CUC is 25x as much as the value of 1 CUP. #6 Where to stay in Cuba? Since the Cuban government allows more capitalism and promotes tourism in Cuba, Cuban families have started a “Bed and Breakfast” like concept: they rent out rooms in their house to tourists. Good for their income and for you an opportunity to get to know the Cuban atmosphere. Best deals on B&B, resorts and hotels in Cuba, compare prices, and read what other travelers have to say! You get the key of the house and of course your room has its own shower, toilet, hot water and electricity. It is sometimes difficult to reserve such a casa particular from abroad, because they often have no e-mail address (in Cuba almost no one has internet). My tip in Havanna: Casa Particular Reina y Paco comes with spectacular seaside views. The location is perfect close to Habana Vieja, the Prado and the Malecon. The hosts give lots of insight into Cuban history, culture and help to organize everything. The breakfast is excellent too. Address: Carcel 101 e/Morro y Prado, Apto 5B, Edificio Bolivar, Habana Vieja. My tip in Varadero: Casa de Mary y Angel offers 3 guest rooms, lovely breakfast included. The location is perfect, lots of bars, shops and restaurants close by and only a few minute walk to the beautiful beach and turquoise Caribbean ocean. The rooms are spacious, very clean and there’s a safe in the room too. The hosts are very kind, helpful and they both speak English, their daughter even German. Address: Calle 44 entre 2da y 3ra Avenida, Varadero. Havana’s newest hotel, The Gran Hotel Kempinski Manzana La Habana, will set mark for luxury. The five-star 246-room hotel is opening this year, probably in the second quarter of 2017, in the Old Havana section. Till now Havana has only a handful of first-class hotels which are booked months in advance. And while Cuba is not known for its good food, there are some beneficial changes. More private restaurants called “paladares” open all the time. The service and quality of the food is much better there. You can indulge the best lobster; fresh grilled shrimp and homemade flan, sometimes even with a glass of wine. My best tip in Havanna: Van Van (opened in 2016) where you can expect lovely clean interior, fast and charming staff, wonderful drinks, and excellent food for a good price. They have a live band playing Cuban classics every evening. The chef Fabian is a Swiss cook. The decor is unique, light fixtures are made of musical instruments, one area looks like a street scene, the bathrooms look like art galleries. Address: 58 San Juan de Dios, Habana y Compostela. My tip in Varadero: At Kiki’s the food is delicious and very reasonably priced. They serve great pizza, calzone, pasta, cold beer and piña coladas in a lovely atmosphere. Had 2 tasty pizzas and several beer for just $16, recommend the lobster pizza. Address: Avenida Kawama Calle 5, Varadero. And the list goes on. There are so many things to see in Cuba. Make sure you know you visit all remarkable sites when traveling to Cuba. Is it safe to travel to Cuba? The security concerns are being moderated by US, because after 54 years US flag was raised in US embassy in Cuba. What is the best time to travel to Cuba? Visit Cuba from November to April when it is mostly dry. Many tourists where prohibited from traveling to Cuba for decades, can now enjoy walking through the city’s old quarters and take rides in vintage cars. However, there is some uncertainty over Trump’s Cuba policy, let´s see what the future brings.